This entry was posted on November 14, 2017 by admin. Mr. David is a trial lawyer whose practice has included a variety of cases throughout the United States and across the globe, including Asia, South America, Mexico, Canada, and Europe. His practice focuses on commercial litigation and tort lawsuits involving civilian and military aircraft accidents, government contracts, aircraft maintenance, aircraft transactions, indemnity actions, products liability, mass torts, and multi-district litigation. 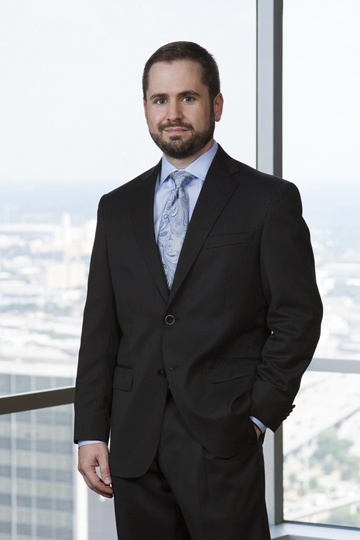 Mr. David’s practice includes both plaintiff and defense work in court and in arbitration. Mr. David’s practice also includes appellate work at all levels through the United States Supreme Court. Mr. David is certified as a Commercial Pilot for Single and Multi-Engine Land Aircraft. He also has an Instrument Rating for Single and Multi-Engine Land Aircraft, and he is a Certified Flight Instructor for Single Engine Land Aircraft. He has also had aerobatics training and emergency maneuvers training. Mr. David is a past President of the Flying Aggies flight club and past member of the Oklahoma State University competitive flight team. Selected for inclusion in Super Lawyers-Rising Stars Edition, a Thomson Reuters rating service, multiple times, including 2009, 2010, 2011, 2013 and 2014. “Welcome to the Jungle: The Application of Foreign Law in Aircraft Accident Litigation” published in SMU’s Journal of Air Law and Commerce in December 2018.